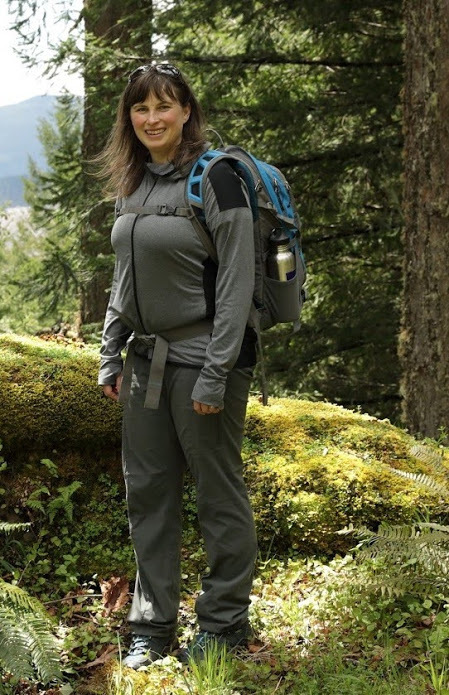 Chandra LeGue is the Environmental Representative on the Middle Fork Willamette Watershed Council Board of Directors, serving as Board President for a number of years before taking a hiking and book writing sabbatical in the summer of 2017. For her day job, Chandra is the Western Oregon Field Coordinator for Oregon Wild. Middle Fork Willamette Watershed Council Board Member, Chandra Legue, at home in her favorite Middle Fork backyard paradise. My work over the past nearly 14 years with Oregon Wild has involved a lot of policy that effects public forest lands across the state – including in our backyard here in the Middle Fork. From working to protect the last remaining old-growth and other undisturbed forests in the watershed, to advancing the restoration of important fish and wildlife habitat through policy, advocacy, and collaboration, it has been fulfilling work. I’ve especially enjoyed learning about and discovering some of these remnant ancient forests in the area, exploring the plants, animals, streams, and diversity of tree species. Luckily, I had a guide, published by my coworker at Oregon Wild, Wendell Wood, in 1991. His book, “A Walking Guide to Oregon’s Ancient Forests,” helped draw attention to the need to protect our last remaining old-growth forests before it was too late. The original book (featuring more than 200 hikes!) 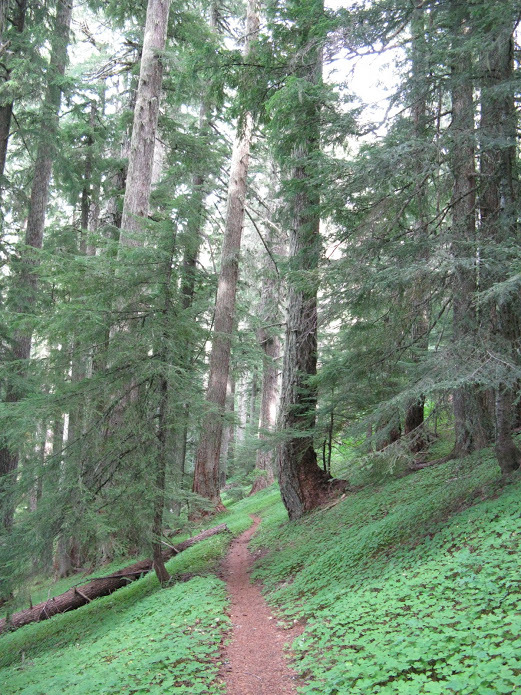 served as a guide to areas across Oregon with accessible old-growth forests, and included information about Oregon Wild’s (then the Oregon Natural Resources Council or ONRC) campaigns to protect these forests. 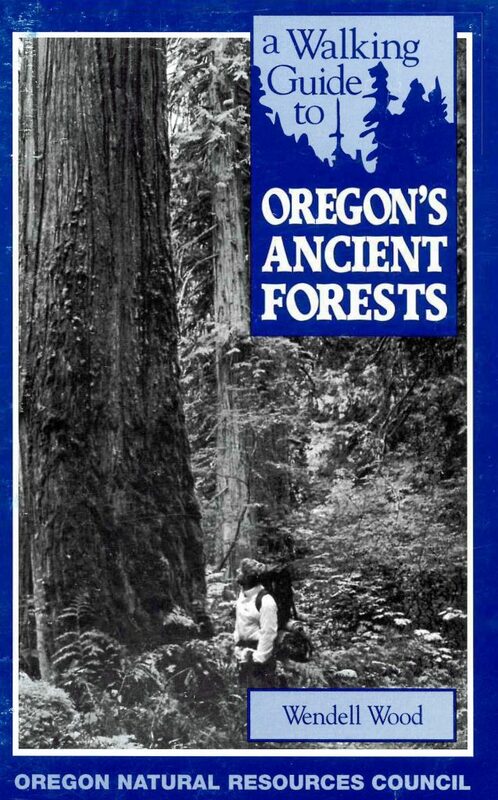 The original guide to walking Oregon's Ancient Forests written by Wendell Wood. In the 25 years since the original book was published, so much has changed in Oregon and in these forests. The state’s population has grown by over one million people since 1990. While our new residents are often driven here by Oregon’s natural beauty, many have little understanding of the environmental history of our state and the sometimes precarious protections for the wild places they have come to love since arriving. Native or new to Oregon, one thing nearly all of us can agree on is that our ancient forests are precious and should be protected. 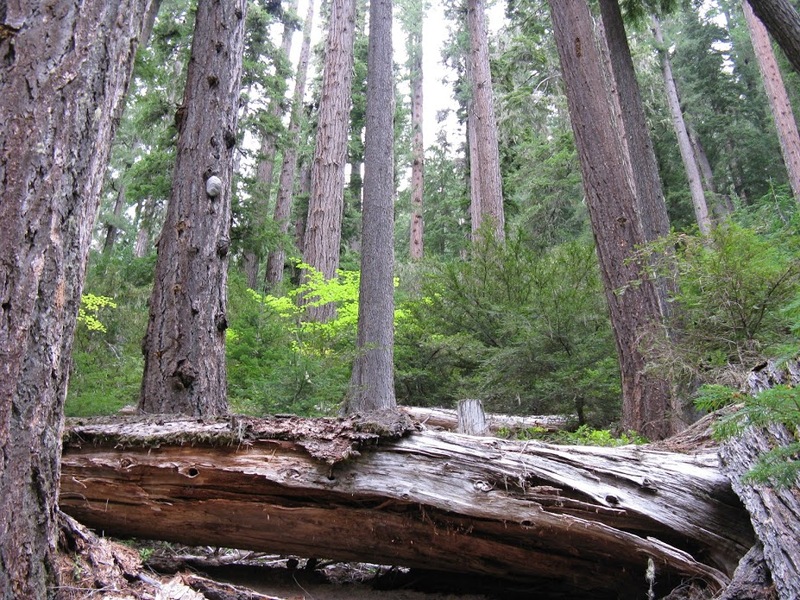 Also in the past 25 years, we have seen dramatic shifts in the way federal agencies manage our forests – from more of an extractive focus to one of restoration. In this time, many ancient forests have been protected through legislation or policy, but many of our ancient forests remain vulnerable. A new edition of the book can help people who care about our ancient forests be better advocates for their protection and restoration. I’ll be spending 2017 summer and fall hiking dozens of trails in old-growth forests across the state. I’m documenting what I find along the trails and how to get there, taking photos, researching what has changed between 1990 and today throughout the region’s forests, and developing maps and associated web content to go with the new book. I’m excited that so many of the hikes that were included in the original book are in the Middle Fork – since it is a watershed I know and love. Some of my favorite trails, like Shale Ridge, Lillian Falls, Larison Creek, and the Fall Creek corridor are in there. I’m also considering adding some other areas like Patterson Mountain and the upper Middle Fork Trail. Drawing attention to the Middle Fork’s beautiful forests in the book will be a pleasure – they filter drinking water for communities in the watershed, provide habitat for beloved fish and wildlife, and are the backdrop and attraction for the area’s growing recreation use. I can’t wait to share the finished product – as well as stories from my explorations – with the watershed council in the coming year. Knowing and caring about these ancient forests in our backyard will help ensure that they will remain standing tall for many years to come.